Home » What Age Does Teenage Acne Stop For Guys? With up to 20% of people developing acne during adulthood, it can be puzzling to tell exactly what age teenage acne stops for guys. Nevertheless, numerous studies on teenage acne shows that teenage acne tappers away when you reach the ages of 20 years to 25 years. Are there guys who experience acne during their teenage years and also pretty much through adulthood? The short answer would be yes. To learn more about what predisposes you to experience acne during adulthood and how you can stop it, read on. The onset of teenage acne in guys occurs usually at around the same time puberty sets in. This is between 10 and 13 years. It exhibits in form of pimples, whiteheads, blackheads, papules or in more serious cases cysts. Acne often doesn’t affect the entire face but instead starts showing on the nose and forehead areas and soon spreads to other parts of the face. But what is the reason behind teenage acne? If for no other reason, puberty is to blame for teenage acne in guys. During puberty, teenagers produce hormones known as androgens. This according to experts is to blame for acne. Androgens prompt the sebaceous glands found under the skin to produce more sebum. Sebum is the oil naturally produced to keep your face plump and moisturized. Overproduction of oil leads to clogged pores which ultimately leads to acne. Teenage guys tend to use oil-based hair products, body lotions, aftershave, and gels. One way or another these personal hygiene products may get into contact with your face and clog pores. They have a greasy, heavy consistency that is not friendly to your skin. 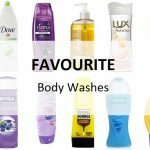 It is hence advisable to go for water-based personal hygiene products as they are lighter and friendlier to your skin. You may notice that your elder brothers, sisters or even one or both of your parents have acne. This is an indicator that acne can be inherited from your parents. It is not written on stone that if your siblings or parents have acne then you should start bracing for it. But there’s a high chance that you might develop teenage acne at some point in your life if some members of your immediate family have it too. Certain medication prescribed to treat or manage certain diseases contain chemicals that may trigger a reaction which eventually leads to a breakout. Medicine meant to treat epilepsy, for instance, contains androgens. Androgens are hormones naturally produced by your body during puberty and the cause of teenage acne in guys. It is hence inevitable that when you take medicine containing androgens, you will develop acne. People tend to offer all sort of unsolicited advice of how you can stop acne. In desperation, teenage guys end up trying all sorts of methods and remedies to try and stop their acne. It goes without saying that soon it becomes clear that the methods do not work. So to help you stay ahead of the game and know what advice to discard, here are some common myths given to teenage guys on how to stop acne. Actually, what tanning does for a teenage guy with acne is make it worse. Tanning requires long hours spent under the sun. This makes your skin even more sensitive which may lead to severe acne. Note that at times, the redness on your skin caused by acne may seem less obvious when you have a tan. Nevertheless, tanning has no positive effect on stopping acne. Teenage guys with oily skin are quick to take advice that washing their face more will help get rid of the oil and hence ultimately stop their acne. However, this couldn’t be further from the truth. Sebum is an essential oil produced by your skin to help keep it moist and appearing fuller. Without this oil, your face dries out which could trigger worse reactions. Note that what worked for someone else may very well not work for you. Using home remedies to stop breakouts is a risk that many regret taking. It is better to purchase quality skin care products that have been medically tested and have been proven effective in stopping acne breakouts. It is extremely tempting to press and pop that huge pimple on your face in a bid to make it look smaller or less conspicuous. But what this does is aggravate the situation. Acne pimples form as a result of accumulation of dirt, oil, dead skin and bacteria. 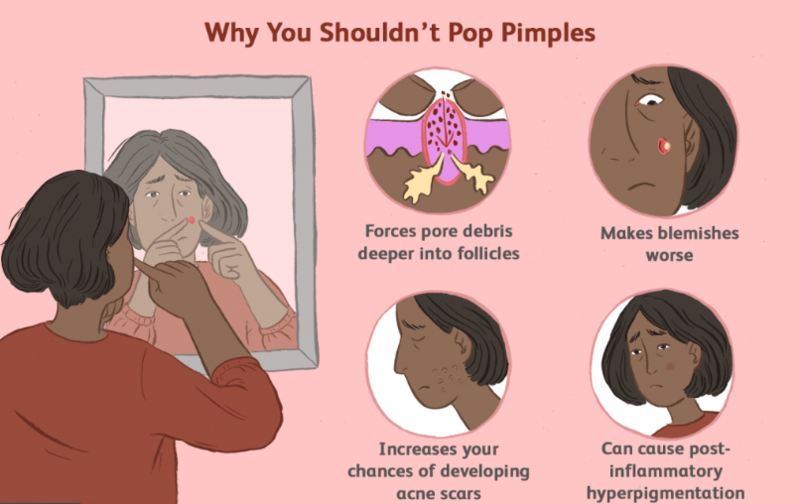 Popping acne pimples means spreading these impurities to other parts of your face leaving you with an even bigger acne problem. Experts recommend that teenage guys take an initiative to take control of their acne earlier on. This way, their acne doesn’t go past and advance during adulthood. By purchasing high-quality facial products and practicing positive habits, there’s a high chance that acne will be a thing of the past for you. For more insight into how to better care for your skin and reliable skin care products, you can choose to stop acne refer to previous articles.